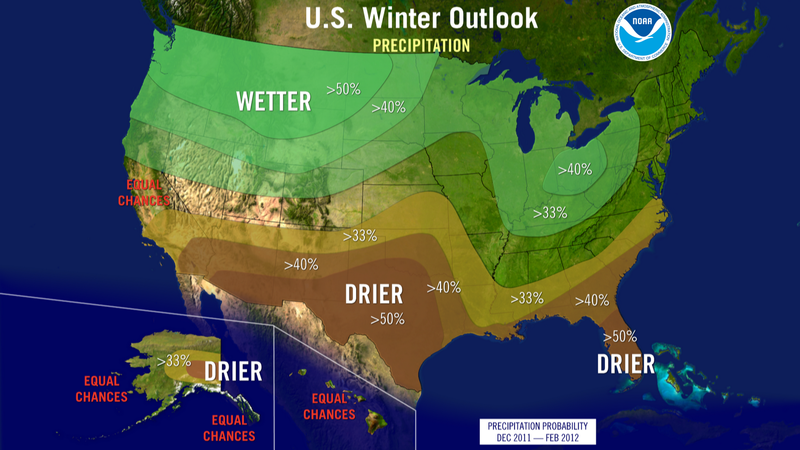 The National Oceanic and Atmospheric Administration (NOAA) has released its winter outlook for 2011-2012. According to the forecasters, another La Nina will influence winter for the second year in a row. La Nina returned in August and is expected to gradually strengthen and continue through the winter. It is associated with cooler than normal water temperatures in the tropical Pacific Ocean. Forecasters also say there will be a wild card in play that will allow dramatic short-term swings in temperatures this winter. The wild card is the Arctic Oscillation. The Arctic Oscillation refers to the opposing atmospheric pressure patterns in the northern middle and higher latitudes. The oscillation exhibits a "negative phase" with relatively high pressure over the polar region and low pressure at midlatitudes (about 45 degrees North), and a "positive phase" in which the pattern is reversed. In the positive phase, higher pressure at midlatitudes drives ocean storms farther north, and changes in the circulation pattern bring wetter weather to Alaska, Scotland and Scandinavia, as well as drier conditions to the western United States and the Mediterranean. In the positive phase, frigid winter air does not extend as far into the middle of Northn America as it would during the negative phase of the oscillation. This keeps much of the United States east of the Rocky Mountains warmer than normal, but leaves Greenland and Newfoundland colder than usual. Weather patterns in the negative phase are in general "opposite" to those of the positive phase, as illustrated below. Over most of the past century, the Arctic Oscillation alternated between its positive and negative phases. 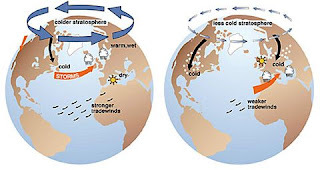 Starting in the 1970's, however, the oscillation has tended to stay in the positive phase, causing lower than normal arctic air pressure and higher than normal temperatures in much of the United States and northern Eurasia. So what does all of this mean? 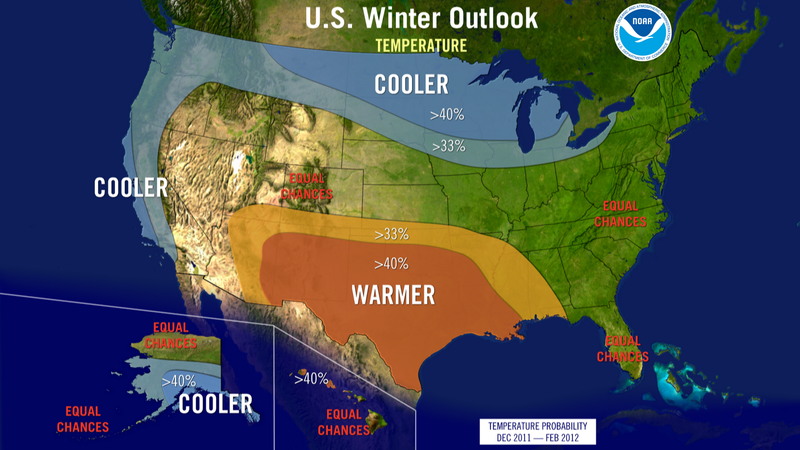 Here is a look at NOAA's U.S. Winter Outlook for 2011-2012. Remember that winter is considered December through February. Ohio and Tennessee Valleys: Wetter than average with equal chances for above, near, or below average temperatures. Potential for increased storminess and flooding. Great Lakes: Colder and wetter than average. The outlook specifically points out "The seasonal outlook does not project where and when snowstorms may hit or provide total seasonal snowfall accumulations. 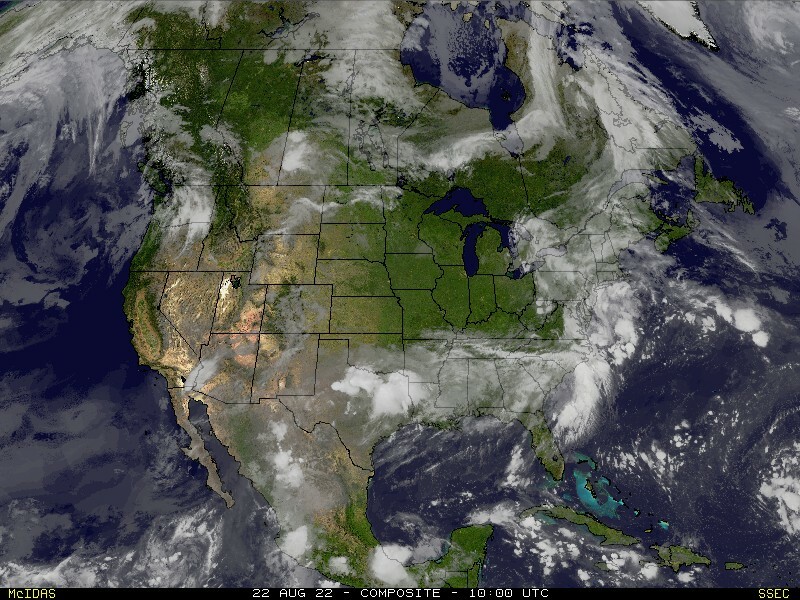 Snow forecasts are dependent upon winter storms, which are generally not predictable more than a week in advance." I don't know about you, but I am ready to start talking about snow. What about you? What would you like to see this winter? Weekly snow storms or calm and 55°? Let me know by leaving what you'd like to see for the winter in the comments section of this post. I would love a real winter! I am hoping for weekly snow storms! Calm and 55! Snow on Christmas would be nice though. So John. Am I to assume that we will have a similar spring to this past year with lots of severe weather? I got a feeling we are gonna see some December and January tornadoes.